“Climate change is predicted to cause an increase in frequency and severity of droughts in the boreal ecozone, which can result in the lowering of water tables and subsequent release of acidic, metal-contaminated waters from wetlands. We believe that in areas where historical deposition of metals and sulphur was severe, these episodic pulses of metals could reach concentrations sufficiently high to severely affect aquatic communities in receiving waters and cause a delay in biological recovery. 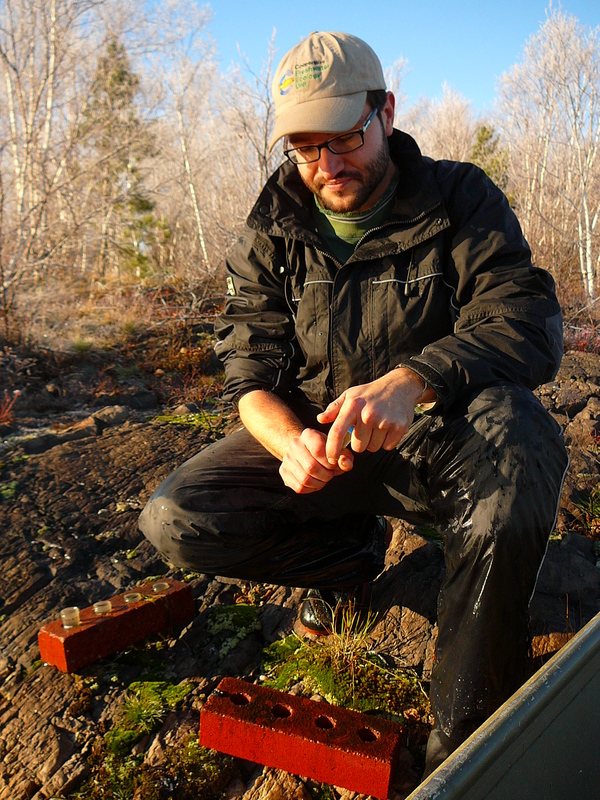 The objective of this study is to evaluate the impact of drought on the chemistry of water draining from two Sudbury peatlands with widely contrasting peat organic matter content to determine the response of stream water chemistry to drought from peatland types in the region. Stream samples were collected using ISCO™ automated water collectors from June to November 2011. Following a period of drought, there was a decline in pH and a large increase in concentrations of sulphate and metal ions (Al, Co, Cu, Fe, Mn, Ni, and Zn) in water draining both peatlands, with extreme concentrations occurring over a period of about two weeks. At the site with the higher peat organic matter content there was an increase in metals that have a high affinity to bind to DOC (Al, Cu, and Fe) during the onset of drought. This study demonstrates a dramatic response to drought at two sites that differ in metal and nutrient pool sizes, hydrology, and topography, suggesting the potential for a majority of peatlands in the region to experience this response. Efforts to restore aquatic ecosystems and protect freshwater resources must take into account these processes, as disruptions to biogeochemical cycles are likely to become more prevalent in a changing climate. Click here for more. Also, below is a slide presentation relating to this study. This recently published study is very relevant to hydroelectric peaking operations that store water during off-peak hours to produce power during peak demand hours. This results in daily inundation and drying of upstream and downstream soils, sediments, as well as peat in wetland areas. This wetting and drying, especially in areas that have been heavily impacted by mining, can result in the release of acidic, metal contaminated waters – see the abstract and slide presentation below. Abstract – click to obtain study. Climate change is predicted to cause an increase in frequency and severity of droughts in the boreal ecozone, which can result in the lowering of water tables and subsequent release of acidic, metal-contaminated waters from wetlands. We believe that in areas where historical deposition of metals and sulphur was severe, these episodic pulses of metals could reach concentrations sufficiently high to severely affect aquatic communities in receiving waters and cause a delay in biological recovery. 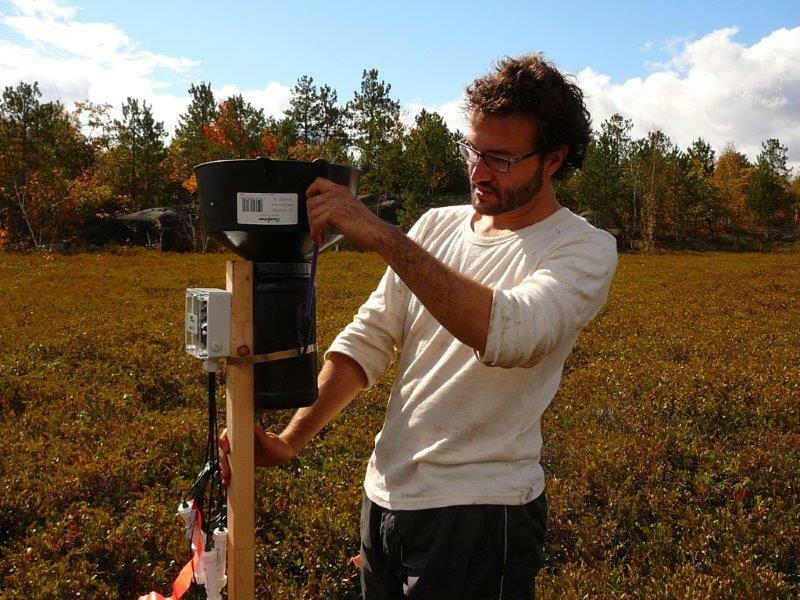 The objective of this study is to evaluate the impact of drought on the chemistry of water draining from two Sudbury peatlands with widely contrasting peat organic matter content to determine the response of stream water chemistry to drought from peatland types in the region. Stream samples were collected using ISCO™ automated water collectors from June to November 2011. Following a period of drought, there was a decline in pH and a large increase in concentrations of sulphate and metal ions (Al, Co, Cu, Fe, Mn, Ni, and Zn) in water draining both peatlands, with extreme concentrations occurring over a period of about two weeks. At the site with the higher peat organic matter content there was an increase in metals that have a high affinity to bind to DOC (Al, Cu, and Fe) during the onset of drought. This study demonstrates a dramatic response to drought at two sites that differ in metal and nutrient pool sizes, hydrology, and topography, suggesting the potential for a majority of peatlands in the region to experience this response. 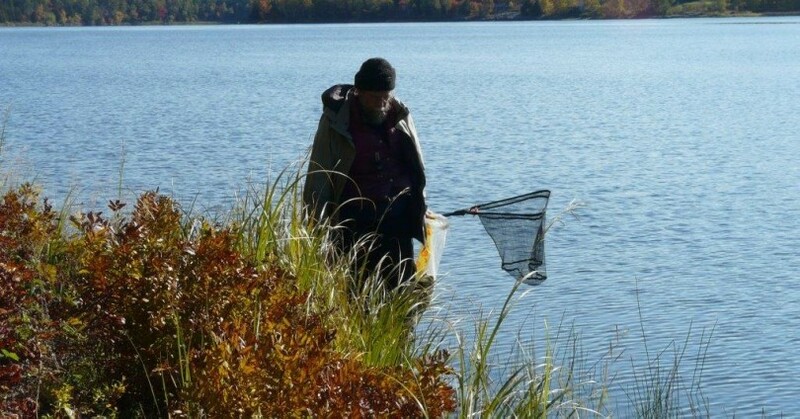 Efforts to restore aquatic ecosystems and protect freshwater resources must take into account these processes, as disruptions to biogeochemical cycles are likely to become more prevalent in a changing climate. Reservoirs represent a significant portion of the freshwater surface on the planet. In Canada, most reservoirs are constructed to provide stable water supply for the generation of hydro-electric power. Particularly in the relatively low topography of the Precambrian Shield, the creation of reservoirs often results in the flooding of large areas of former wetland and upland forest. WASHINGTON — Today, the U.S. Environmental Protection Agency released the results of the first comprehensive survey looking at the health of thousands of stream and river miles across the country, finding that more than half – 55 percent – are in poor condition for aquatic life.